Knitting project kits. Readers Wrap in two versions. 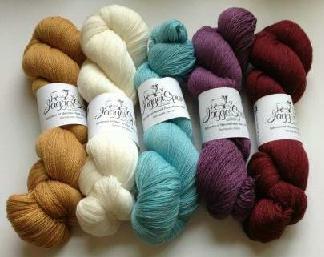 Jaggerspun silk and wool lace weight yarn. 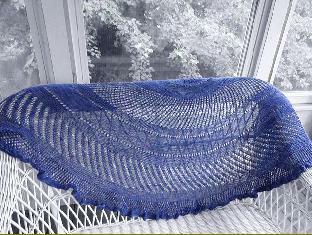 This semicircular, lace weight shawl is modern and exuberant with panels of diagonal lace and a generous ruffle with a picot edging. 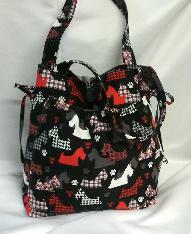 I love the flounce! The lace patterns are simple and the garter stitch sections knit up quickly, making for a surprisingly fast knit for the size of the shawl. this in three versions - a regular written format, a printer friendly page and a detailed checklist version. Size 5 US (3.75mm) circular needle suggested.